I spent a few years diving into the scriptures. While reading Exodus and Mark simultaneously, I saw a parallel between Moses going up the mountain and Jesus going up the mountain. 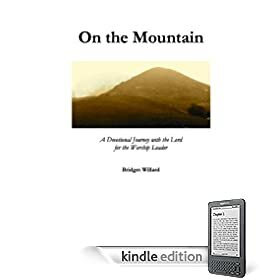 On the Mountain: A Devotional Journal with the Lord for the Worship Leader is now available on lulu.com. There is also a download edition available. This is a great resource for leading your team through devotionals. Click here to read Chapter 1, Chapter 2, Chapter 3, and Chapter 7.